No Waiting in Long Queues, No Hassle. We Come To You! 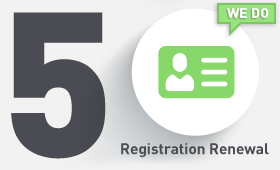 Just book an appointment and we'll take the pain of your vehicle registration renewal for you. Our trusted staff will pick-up the vehicle from your Location. No need to bring your car to our office for car registration renewal. Then we’ll take your car to RTA testing point. 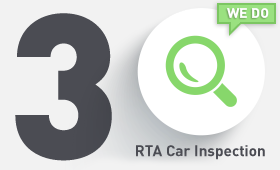 RTA Testing is necessary to renew your car registration. If you have Traffic fines, we will take care of that. 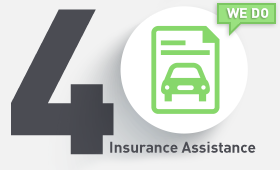 If you need insurance, we’ll search for best affordable insurance rates and will do the required agreement for you. After RTA Inspection and Insurance, we’ll process for RTA vehicle registration renewal and will get the new registration card and expiry sticker as well. At last, we’ll drop off your car at your desired location. 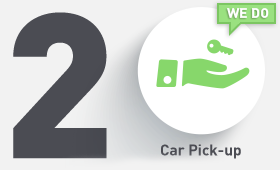 During the process you can track your car from pick up till drop off. We will ensure your car safety. Renew My Car Registration is Dubai-based service that simplifies the process of renewing your vehicle registration. We cover all the aspects of renewing your car registration for you, including the lenghty RTA testing process, RTA traffic fines & Insurance arrangement. We want to make this a hassle free procedure for our busy customers. 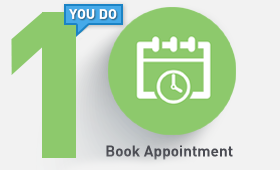 Book an Appointment Online or by Phone. We send our trusted agent to pick your vehicle & renew your vehicle's registration, handle traffic fines, finalize any remaining paper work & obtain new insurance if required. After all is done, we'll return your car along with your new vehicle registration. Working with us is easy, fast and hassle-free. We'll ensure that you no longer have to go through any stress to renew your car registration in UAE. Our client's testimonials and recommendations show that we are the best at what we do. We're passionate about relieving your stress and making Vehicle registration renewal an easy part of life in Dubai. If you are looking for a professional company that can handle your car renewal process - then look no further. Time saver and cost effective with a solid team of people who know their job!! (And that’s a big plus). This was the most hassle-free service I have used and I would and will recommend everyone to use them. Thank you for the professional and quick service!! Had a deal with these guys. Dint know such high level of service still exists nowadays! Thank u for a quick solution! Wish u all the best. Never knew it would be this simple. Nice to see innovation in the UAE. With the pick and drop service its all worth it. Done with waiting in lines at the RTA. Good service and i wish all progress to you and I will advise all people to use this service. A lot of thanks really. Best service for car renewal. Good price. Fast service my car take only 2 hours and they finish all process. Only i can say they are professional company. I expect they will the leaders in this field in Dubai. Best Wishes!